If you would like to have hardwood floors without the exorbitant cost, then you may want to check out Harmonics Sunset Acacia Laminate Flooring. 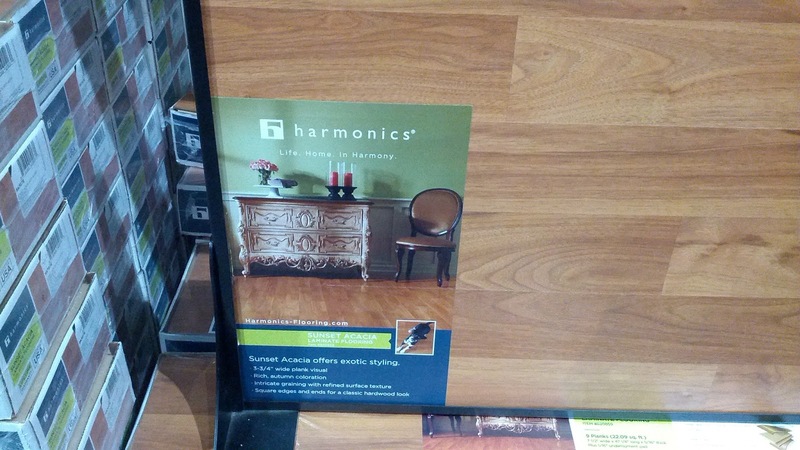 This flooring gives the impression of hardwood flooring, but without the high cost. 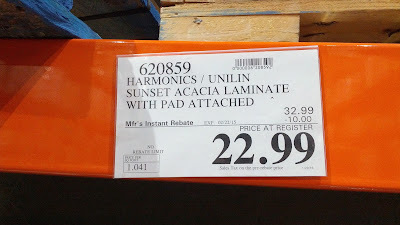 Because of the thought of thousands of dollars being invested into hardwood flooring, I kind of wish I discovered the Harmonics Sunset Acacia Laminate Flooring sooner. With my toddler son already walking around, he tends to drop a lot of his hard plastic toys onto our floors. That and the dog running around and dragging in dirt, I cringe anytime my hardwood floors are damaged. 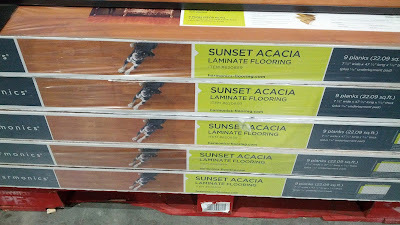 With the laminate flooring, I wouldn't have to worry about taking care of the floors since they can be replaced easily. That and these are not made in China. We've all heard of the stories regarding products from China, but these are actually made in the USA! 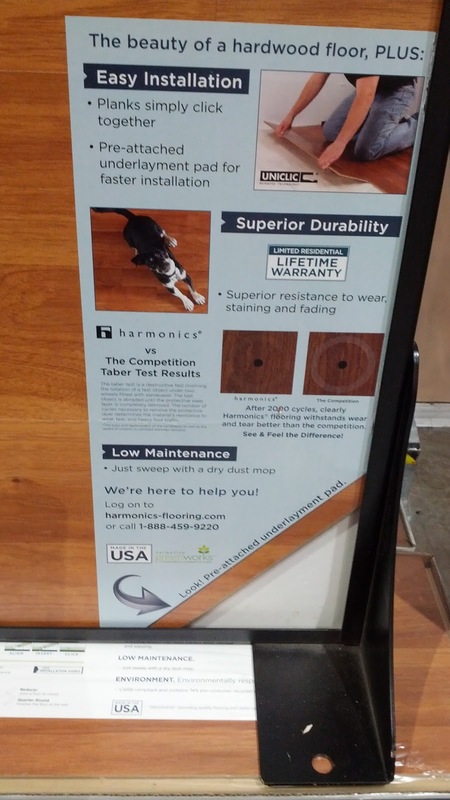 If you have small kids or pets, you might want to reconsider getting hardwood floors and just go with a more cost-effective alternative. The beauty of a hardwood floor, plus easy installation. 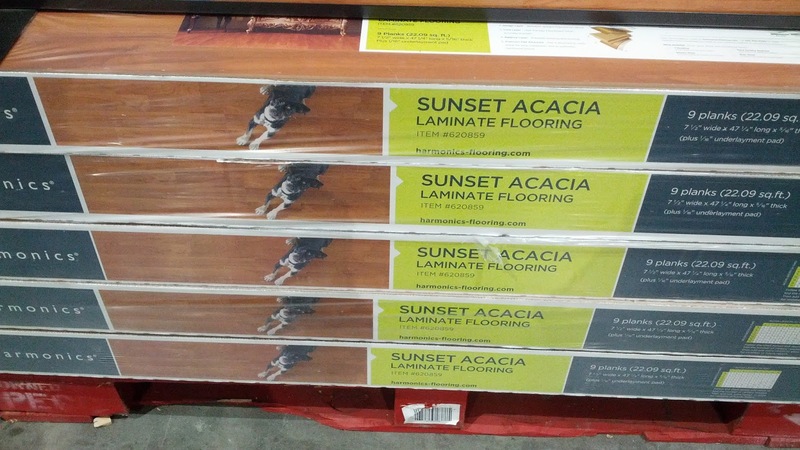 Planks simply click together with pre-attached underlayment pad for faster installation. Superior Durability with superior resistance to wear, staining, and fading. Low maintenance, just sweep with a dry dust mop. Harmonics: Life. Home. In Harmony.